As you drive through Tennessee...first to Nashville, then Murfreesboro, and ultimately Chattanooga, you are struck by how beautiful the Volunteer State's scenery is as you make your way through the Cumberland Plateau and the southern stretches of the Appalachian Mountains. The mountain passes are the most picturesque part of the drive and also probably the most dangerous part as semis struggle up the mountain and then descend on the other side like a bat out of hell. There are even some runaway semi lanes full of sand to hopefully stop a truck that has lost its brakes coming down the mountain. 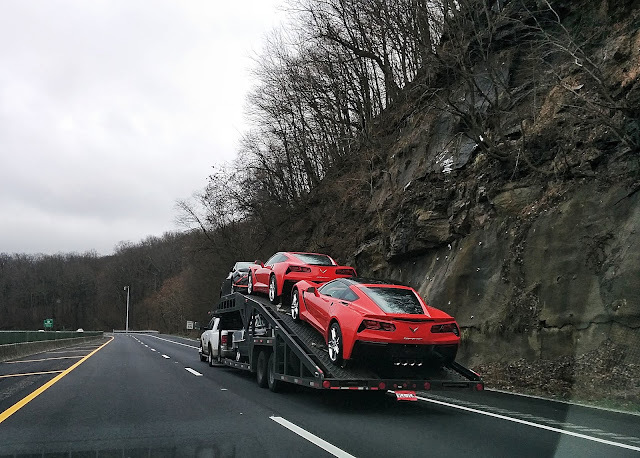 On our last trip over the passes, we came upon an unlikely site of a truck hauling a trailer full of new Corvettes. 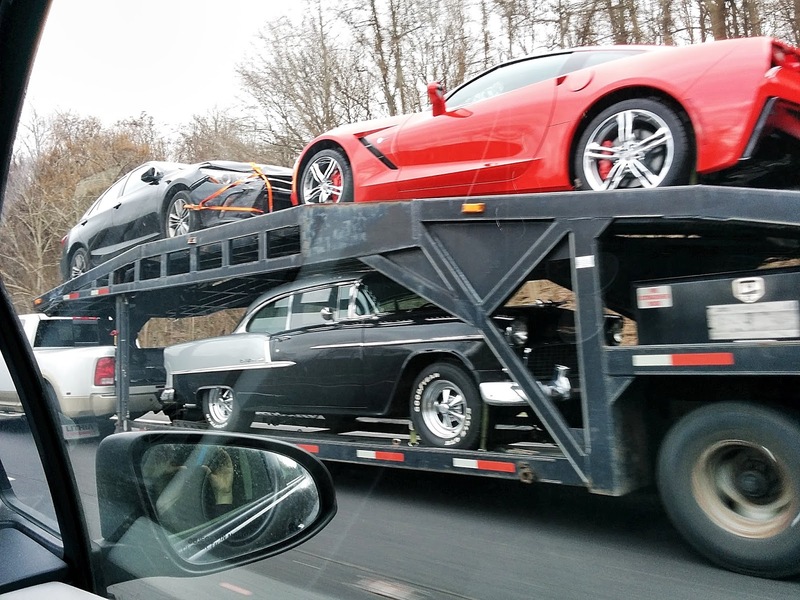 And when we passed the trailer, we had a surprise with the vintage car that was hidden underneath.